Transit Ads™ has implemented a large-scale rank campaign for Soweto Gold where the brand creative dominates the ranks entirely, ensuring that messaging is not lost in any other media clutter. Dudu Cindi, OOH Strategist at Redstar explains that the campaign is very defined and aims to increase sales and loyalty for the brand. “The campaign was carefully strategised to maximise exposure for the brand through a selected geographical area, consumer frequency and effective, well-placed OOH media. The aim is to build the brand and build sales and, so far, the campaign is showing effect.”At each rank, Soweto Gold has branded the entire commuter facility and is therefore benefiting from exclusive exposure to the commuter audience. The monthly footfall at each rank is high – Natal Spruit: 681 920 and Witbank: 454 613 – and offers excellent frequency in a captive environment.Transit Ads™ has exclusive advertising rights to some of the biggest taxi ranks and commuter nodes in South Africa. As such the campaign for Soweto Gold ensures that the brand receives excellent exposure, impact, frequency and recall. Unlike other advertising mediums OOH cannot be turned off, and strategic placement ensures that brand messaging and creative simply cannot be missed. The rail environment is captive, there are high dwell times with an average of 21 minutes, and there is excellent frequency with 79% of train commuters travelling twice daily. In an aim to create brand affinity in the commuter market, Cash Crusaders is launching a commercial on TRANSIT.TV™. The digital channel will air in taxis, in bus stations, in taxi ranks, and in train stations throughout South Africa and aims to be a vital marketing element to reach the mid-LSM market. “The Cash Crusaders campaign is the perfect example of purpose-driven marketing, where brand, messaging, and context are a seamless fit. The brand has taken the Zilahlile package, which presents as an on-screen broadsheet,” says Hugh Wilson, GM sales: Transit Ads™. “TRANSIT.TV™ flights to a widespread audience when they are in a captive environment, be it in a train station or a taxi, and when they are open to advertising messaging,” adds Wilson. 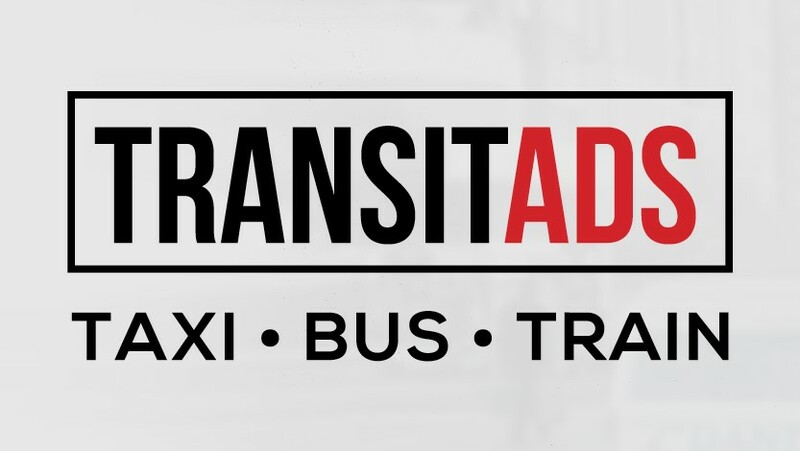 For advertisers, TRANSIT.TV™ has brought numerous brands to the attention of consumers. The channel offers advertisers reach, frequency, geographical targeting, as well as an audience that regularly experiences long dwell times. Johannesburg City Parks and Zoo (JCPZ) is mandated by the City of Johannesburg to manage the City’s cemeteries, parks and designated public open spaces as well as to ensure that its environmental conservation function is carried out. This includes the maintenance of all street and park trees within the City’s borders and the Joburg Zoo. JCPZ is entrusted with the preservation and management of biodiversity through direct conservation action, education, research and recreation. As the custodian of Joburg’s green heritage, the JCPZ is currently running a campaign which highlights the valuable work it does in terms of Capital Infrastructure Development; Open Space Management; Zoological, Horticultural and Ecological Services and Urban Forestry. Its portfolio consists of 20 000ha of green open spaces and 3.2 million trees, while the Zoo has 326 species consisting of 2 096 specimens, all housed within a 54ha area. “Key to the #WelcomeOutside campaign was ensuring that multiple messages related to the range of services offered were delivered effectively. By selecting Bus Shelters, the JCPZ was able to not only get the messaging out to the general public, but the flexibility of Out-of-Home and Bus Shelters in particular allowed for each service offering to be unpacked further,” comments Jonathan Everest, Head of Sales at Street Network. Bus Shelters can be utilised in a targeted and contextually relevant manner, with the JCPZ campaign taking full advantage of this. Visible in the vicinity of a number of key locations such as the Joburg Zoo and to targeted audiences along major routes, the campaign successfully delivered multiple contextually relevant messages. “The JCPZ’s vision is to develop, maintain and conserve public open spaces, cemeteries and animal life for present and future generations. Street Network delivered a solution that amplified and extended the reach of the current campaign in a bold and creatively engaging manner,” concludes Everest. Shamy Naidu, Executive: Transit Ads™ outlines the need for authentic data within the realm of out of home advertising, especially when it comes to the transit environment. Over the past few years we’ve been witness to an enormous growth within the transit environment in South Africa. Public Transport nodes and facilities have been upgraded, extended and added to. We’ve seen the inception of the Gautrain, the BRT and IRT systems and overall, most bus, rail and taxi facilities across the country have had a significant makeover. Information and advertising and the way we access it, consume it and share it has also undergone significant changes. And with these changes has come the fake news, false advertising, stories that have been spun in order to propagate hatred and coupled to all of that the falsification of data and research. In our industry we, unfortunately, come across false data more often than we should. Because of this, and also in spite of it, at Transit Ads™ we are sticklers for authenticity. All our research, our data, our statistics and numbers are verified. We do this because it makes us better at what we do, it keeps us aligned with consumer behaviour and it ensures that we consistently create and execute great campaigns for our clients. We understand that a successful advertising campaign, with success that continues long after the campaign has ended, relies on authentic data collection, research and the relevant interpretation of that data. At Transit Ads™, not only do we quite literally keep our finger on the pulse – we have a dedicated team manning all aspects of TRANSIT.TV™ from programming to advertising to on-site operational teams, and our ear to the ground, Transit Ads™ representatives are present at transit nodes, taxi ranks, train stations and bus stations to ensure that all parts of a campaign are running smoothly. Furthermore, we constantly have conversations with our target audience. When marketers approach us, we strategically create campaigns that are relevant to the target audience, because we know and understand these consumers. In fact, a large part of what we do revolves around research and part of it is having conversations with commuters, i.e. the people who engage with our advertising platforms every morning and every evening as they travel to and from work, school and everywhere else. We ask them what they like, what they buy (including what they like to buy and what they buy out of necessity), when they purchase, where and why. We dig deeper and go even further and ask them what influenced a particular purchasing decision. We also ask them what type of content they’d like to engage with on our platforms, especially on TRANSIT.TV™. Inside a taxi TRANSIT.TV™ flights to an audience that is captive for at least 20 minutes at a time – enough time for them to assimilate both brand messaging and call to action. It is also enough time for the consumer to forge or further enhance affiliation with a brand. If advertisers want their brand creative and messaging to stick they need to align themselves with consumer needs. Our platforms revolve around both the consumer and the advertiser. Why? In order for advertising to be effective it needs to be delivered to the consumer in an engaging manner, at a place and time when the consumer is most open to assimilating it. Over and above knowing what the consumer wants and how he or she wants to consume your brand message, the other element of marketing success is location and placement. Data is what we use to effectively position our platforms. We take a scientific approach called EMM or environment media mapping. This process ensures that every single screen, billboard, Powa Towa and branding platform is placed for best visibility, maximum impact and most effective engagement. To promote its Instant Money transfer service offering to a wide-ranging target audience, SPAR has implemented an out of home campaign with Transit Ads™. To create awareness, promote the service and prompt action, the SPAR Money Transfer messaging is visible on Powa Towas located in taxi ranks and strip malls across the country. Measuring 12 metres in height, Powa Towas are a dominant structure within a commuter environment and each Powa Towa has been strategically located to maximise visibility and impact. The campaign is amplified through TRANSIT.TV™, South Africa’s largest place-based digital television network. A SPAR Money Transfer commercial is flighting on screens in taxis, in train stations, at bus and taxi ranks, to an audience of 16,5 million commuters. TRANSIT.TV™ is viewed in a captive environment with high dwell times, and as such it generates unrivalled reach, frequency and assimilation (when compared with traditional television). The Transit Ads™ portfolio offers a wide range of strategically placed, highly impactful advertising platforms across South Africa. Each platform is specifically geo-located to ensure that brand messaging reaches the right audience in the right place and at the right time. 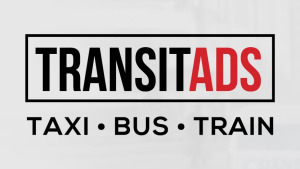 “Transit Ads™ offers larger-than-life story-telling capacity. With the SPAR campaign, Powa Towas and TRANSIT.TV™ offer a powerful combination. Each platform is contextually relevant and works to enhance the other platform to dramatically extend reach and frequency. The result is a campaign that effectively, strategically and geographically engages with a large consumer base when this consumer is open and attentive to advertising messaging. Both platforms are highly visible, effective and targeted,” concludes Goncalves. Shamy Naidu, Executive of out of home transit environment specialist Transit Ads™ outlines the new taxi advertising regulations as recently gazetted by the South African Department of Transport. On the 18th of August 2017, the Department of Transport gazetted the new taxi branding and advertising regulations. The new regulations affect how brands and media owners advertise on minibus taxis. Unfortunately, the broader advertising and media industry was not consulted during the lead up to the proclamation of the new regulations. The decision to implement these changes followed a process of exclusive interaction between government, taxi bosses and taxi associations. It came as a surprise to the entire industry when on the 18th August this year the new regulations were gazetted. At the same time, the Distinguishing Marks for Mini-Bus and Midi-Bus Regulations published in 2007 were repealed. The new regulation, The Regulations on Colour Coding and Branding on Minibuses and Midibuses used for Minibus Taxi -type Services, 2017 came into effect on the 18th August 2017, with all affected parties given a period of six-months from date of publication to comply. Unfortunate as it may be that the consultative process was flawed, we believe that there are some positives in the current proclamation of the regulations. It further highlights Government’s intent to regulate the taxi industry; while at the same time it protects brands through regulating the advertising methodologies employed within this space. Transit Ads™ made immediate representations to the Department of Transport on the regulations. We did this with a view to negotiating the ideal methods to be employed to ensure maximum exposure for brands on the vehicles whilst remaining within the constraints of the new laws. The regulations affect how brands advertise on the exterior of taxis, so it is of utmost importance for brands, marketers and media owners to understand what these new regulations entail. The consultation held between Transit Ads™ and the Department of Transport, post this gazette, has ensured that Transit Ads™ is ideally positioned to seamlessly implement the new branding regulations on behalf of its clients. Through our consultations and interpretations of the new bylaws, we have agreed on the new format of how a taxi can be branded and received the necessary acknowledgement from the Department of Transport. Advertising is permitted on any minibus or midibus used for minibus taxi –type services, subject to sub regulations (2) and (3). Advertisements must only appear on the side panels or sliding door to the rear of the driver and to the rear of the front seat passenger doors. An operator who contravenes or fails to comply with these Regulations is guilty of an offence and liable on conviction to a fine or to imprisonment for a period not exceeding three months. In terms of taxis affected by the act, these regulations only apply to minibuses and midibuses used for minibus taxi-type services, and not to any other type of vehicles used for any other type of public transport service. It can be argued that the new Regulations ensure that all exterior branding is uniform and consistent. It also protects the integrity of the South African taxi associations, in terms of them adhering to regulations passed by Government. Download the Regulation Gazette, No. 41046 of 18 August, 2017 here.